Developed for TVO's Doc Studio, the Ping Pong App was developed to promote the critically acclaimed documentary Never Too Old for Gold. 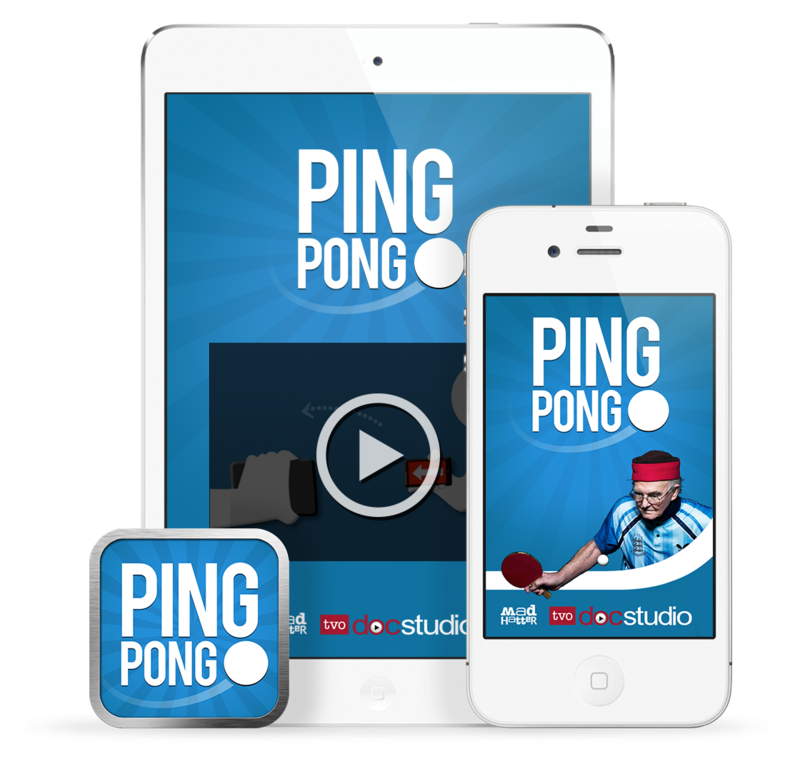 You can challenge another player by syncing your device to play a virtual game of table tennis. The Ping Pong app caught the attention of Apple for its use of gesture technology and was selected as a feature in the App Store.